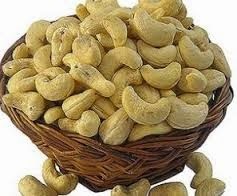 CHECHESMITHNATION : Cashew Nuts Helps Prevent Cancer !!! Cashew nut! Cashew nut! Cashew nut! Quite crunchy, yet a friendly sweet nut that is treasured around the globe…when it comes to health benefits it so has a stake in it. Cashew nuts are so high in protein and are a rich source of vitamin B-complex, and essential minerals such as iron ,selenium ,zinc and copper. They have anti cancer compounds called proanthocyanidins that have the ability to starve tumors and stop cancer cells. Cashew nuts are quite beneficial when it comes to lowering blood pressure,preventing heart attacks, reducing migraines,giving energy boost,strong bones,healthier hairs and promoting healthy skin. These nuts interestingly have a lower fat content, one of the major reasons I feast on them…and also friendly to the nervous system. 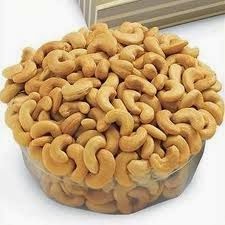 Cashew nuts helps one relax the nerves,free from tension..helps the body become more flexible and aid in elasticity of tendons,joints, muscles. Cashews have the ability to stop hunger,which decreases overeating and aid in weight loss management. 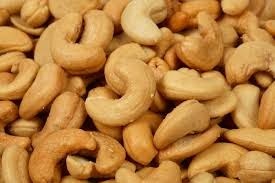 I love cashew nuts, they help me stay healthy. Have you had some today? THANK YOU FOR THE ADVICE. NUTS ARE MY NEW BEST FRIEND.